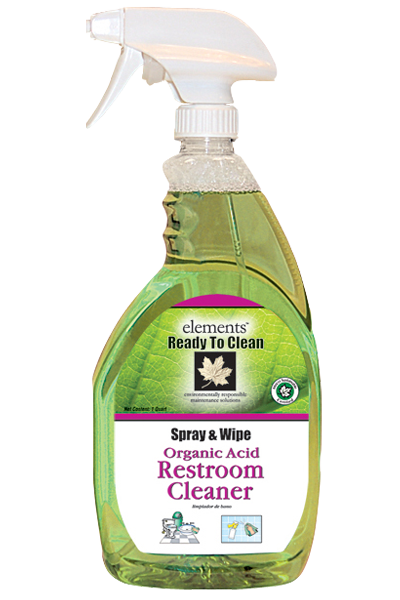 A ready to use, organic acid fortified, heavy-duty multi-purpose bathroom cleaner that is specially designed to address the environmental, safety and health concerns facing today’s household. 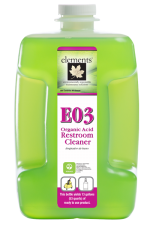 Readily biodegradable, this product will not accumulate in the environment and will not contribute to waste treatment plant sludge. 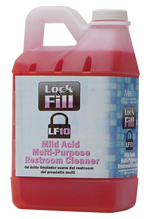 Cleans away soap scum, hard water deposits, rust stains, body oils, fats and dirt. 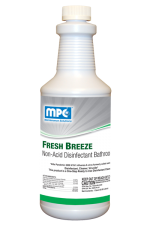 Can be used to clean most surfaces such as windows, walls, tubs, showers, toilet bowls and urinals. 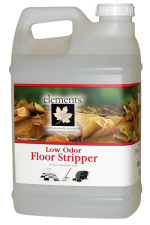 It is especially effective on removing difficult stains from ceramic tile floors and grouting. 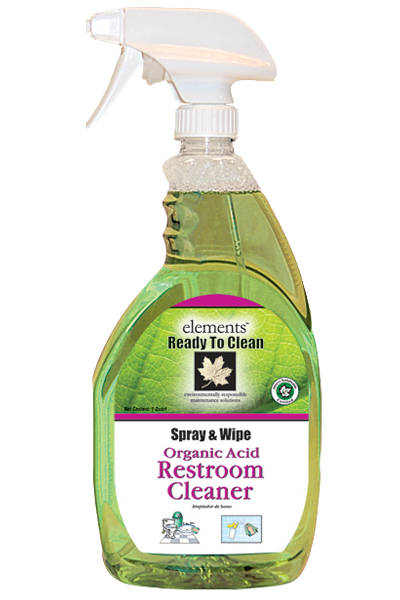 This organic acid ready to use restroom cleaner is formulated with a rain clean fragrance. General Cleaning: Simply spray onto surface to be cleaned. Allow 3 – 4 minutes for cleaner to penetrate. Wipe with damp sponge and rinse well. Do not mix with bleach. 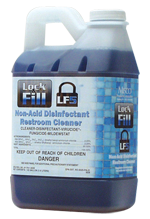 A concentrated version of this product is available; please contact your local distributor for ordering information.